Radiators can be found in every room of your home, meaning they can significantly affect the cleanliness of the room. They are often forgotten and neglected, partially because they are difficult to thoroughly clean and reach. Their maze-like shape is a perfect spot for dirt and bacteria, so find some time at least once a month to clean all its crevices. When doing your weekly tidy-up, use a feather duster for removing the layers of dust from the radiators. A feather duster is also useful for cleaning areas which are usually difficult to reach. The kitchen is where many of us enjoy being, with all of that delicious food cooking. Of course, if you spend a lot of time in the kitchen, preparing meals, baking cookies and making little snacks, it’s normal you need to clean it every day. It’s a place where germs can spread in a couple of days and where it’s also very important to maintain proper cleanliness. So, next time, take a good look under your oven. The cavity under it is usually full of food remains, crumbs and peelings that get accidentally hidden there. No wonder – you know how busy you can get when preparing a big meal. So, next time when you start sweeping the kitchen floor, get under the oven completely to reach the crumbs. Otherwise, you’ll eventually get ants or even mice. We spend at least two hours a day in our cars, if not more. That’s enough to seriously consider keeping it completely clean. Even more so, there are several important benefits why your car should always be properly cleaned. First of all, if you neglect to clean your car regularly, it will easily develop excess wear and tear because all that dust and spilled fluids can damage your vehicle’s upholstery, as well as other interior surfaces. Also, every time you sit a dirty car, you breathe in the air of poor quality and you also expose yourself to possible allergies and other health issues. Thirdly, as driving safety is an important factor, too, your car’s windshield, side mirrors and windows always need to be clean. Professional companies such as Schmicko mobile carwash are much better at thoroughly cleaning the outside of the car than the owner is, so consider professional service when you want to drive safely. Most of us have at least a couple of indoor plants as charming decoration, and some of us even enjoy surrounding themselves with a lot of different plants. Of course, you don’t dust the plants which are grown in your garden or the backyard, but you can’t do the same with your indoor plants. Their leaves are usually covered in dust that piles up over time – it doesn’t look nice nor is it good for the plants’ health. The surest way to dust the plants completely is to give them a quick shower. A one-minute shower is enough to remove all the dust from the leaves and make the plant look fresh again. Another option is to blast the dust by using a hairdryer, just make sure the air coming from the hairdryer isn’t too hot. The toilet is the spot where many germs can grow if you don’t clean it properly and regularly. Take a look at your toilet – maybe it looks clean from the front, but what about the space behind it? It’s hard to reach it but keep in mind there is grime and dust laying there. The bathroom should be one of the cleanest rooms in our homes but it’s also the one that gets most easily dirty, so make sure you really clean the whole area around the toilet. 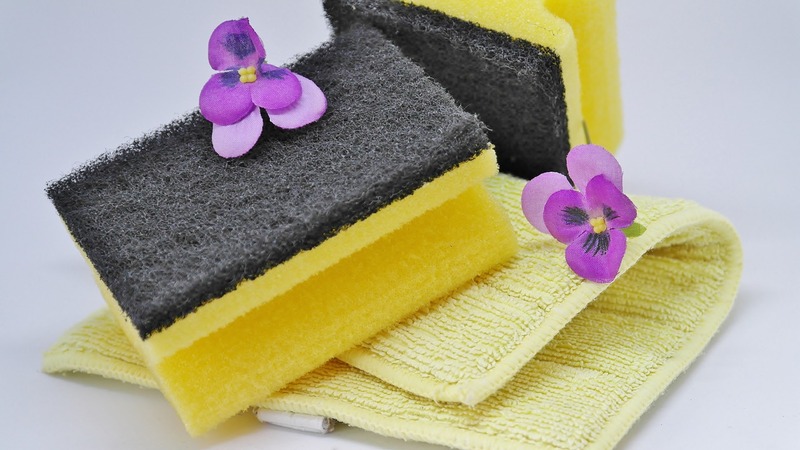 By paying special attention to thoroughly cleaning these five items or places, you will protect your health and ensure you spend your time in a clean environment.